"Everything is better with a friend." I found this out the second time I went off roading at Rausch Creek in Pennsylvania a few weeks ago. My first trip to Rausch Creek was by myself. Don't get me wrong, I had a blast. But it is just not the same if you can't share your experience with a friend. Most of my friends don't share the same enthusiasm for off roading, or my Jeep as I do. Which is why... the internet is such a wonderful thing. By sharing my love for my Jeep on social media sites, I have found some great people that share the same love for their Jeeps. 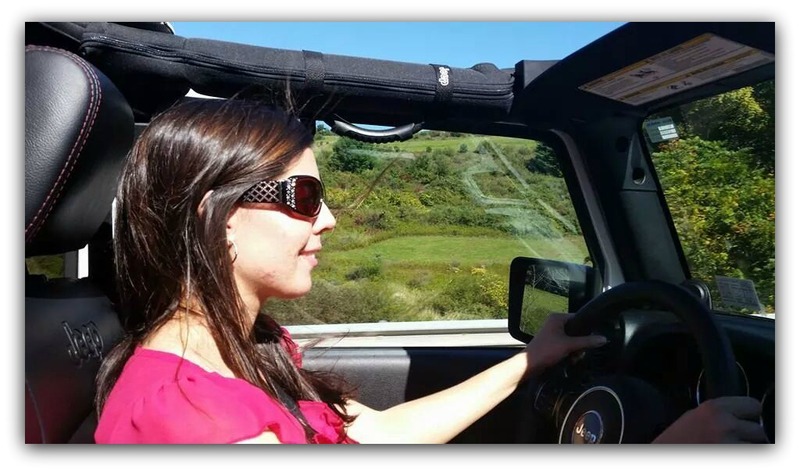 The best part... is one of those Jeep enthusiasts I met -- is a mom with a Jeep Wrangler just like myself. We started talking online and found we have similar interests. 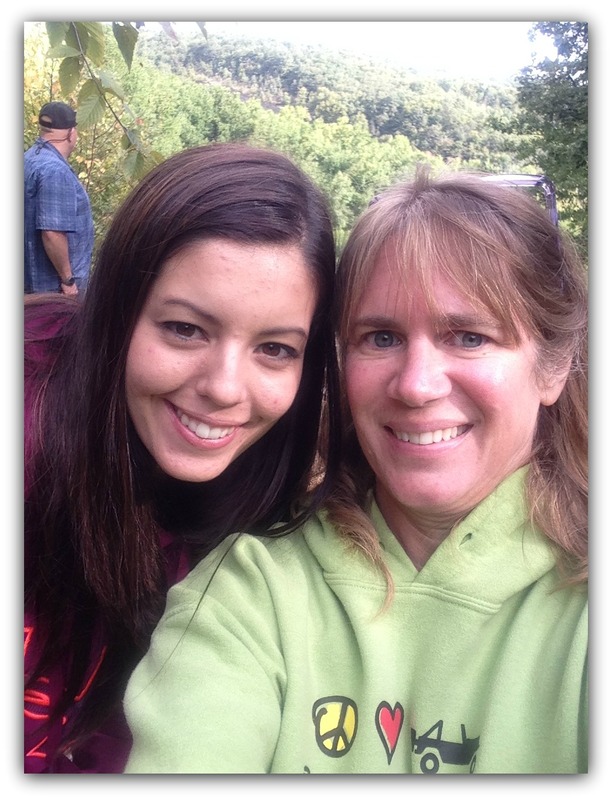 Once I found out how close she was to Rausch Creek I invited her to join me for my second off roading class. Amanda met me in the parking lot that morning and it was like we were long lost friends. We hit it off immediately and had the best time on the trails. I will have to say for someone who has very little off roading experience she was the best co-pilot to have in the passenger seat. She was encouraging, cautious and knew exactly where to direct me. I can't wait for us to get together again to hit the trails. 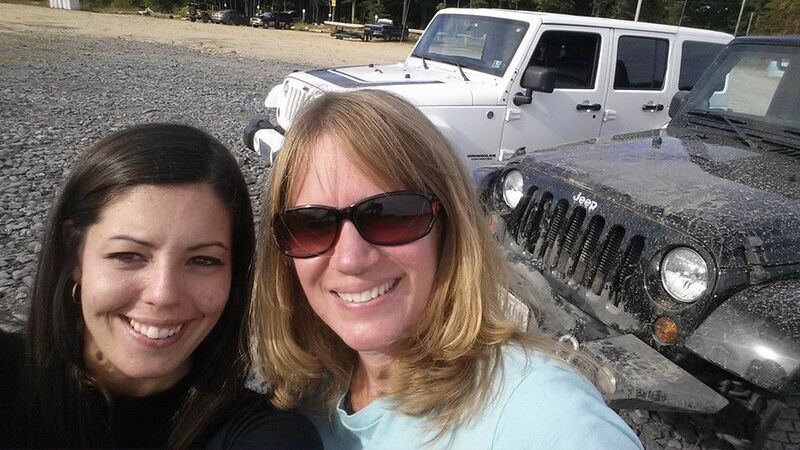 I have to say though, I believe this Jeep mom's love for her Jeep or should I say Jeeps, might just surpass mine. So I decided to ask her a few questions and share it with you. 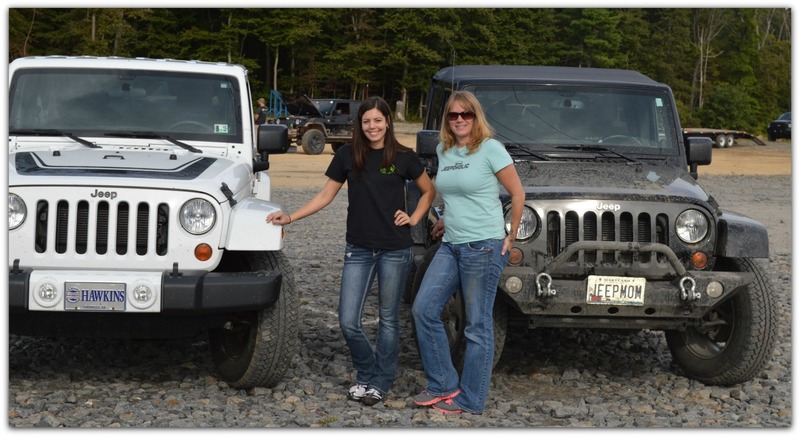 When did you first become a lover of Jeeps? Around the age of 5 when my Dad took me for my first ride in a top less Jeep. Tell me about your Jeep? Which one! My Dad restored an 89' for me a few years ago, I have a 2004 willys edition as an extra vehicle, and my daily driver is a 2012 jku altitude edition. 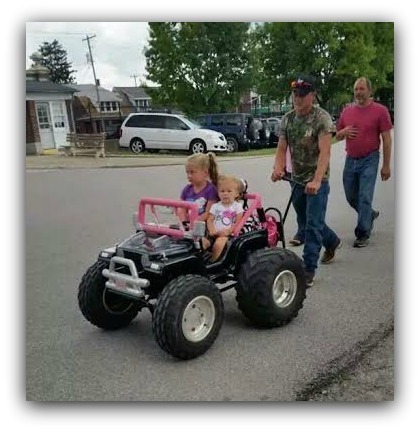 Oh, and I can't forget the "stroller" Jeep my Dad built for my girls too! What are your Jeep goals? I'm very indecisive with this topic. Probably adding a lift to the white Jeep. I haven't a clue where I'm going from there! 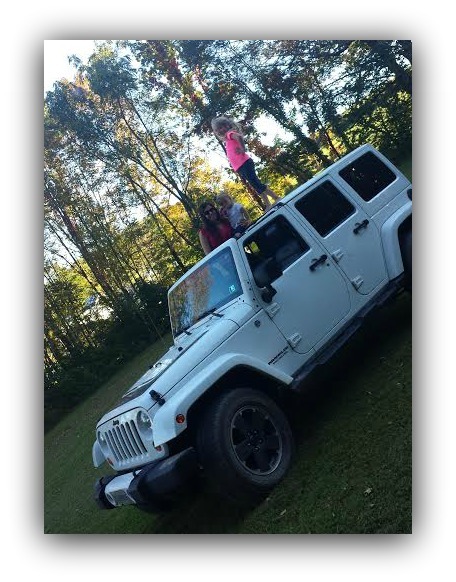 Is your family a Jeep Family? Yes, but I like to think it started with me! ;) I was the first to own one (besides my Dad's plow Jeep). Now my parents and cousins share the same passion for Jeep. What is your dream Jeep? Unfortunately, I can not just choose one Jeep. I like having different Jeeps for different occasions. As a daily driver I dream my 04 Willys edition would turn into a loaded jku with lift and large tires. Since I've experienced more offroading I also dream of something big, white, and rock crawler ready! I'm a proud Jeep owner. Even if I'm rocking the stock. I never knew I could love another Jeep as much as my 2 door. The 4 door I just bought last month is now a favorite for everyone in our family.